The ultimate BMW 320 Turbo Group 5. Rare, light weight, turbo, large engine. The last 320 produced. The ultimate. Our BMW 320 Turbo Group 5 race car has been restored by us to period correct, race ready and show condition with experts from Europe, USA and Australia. It has current FIA HTP (Historical Technical Passport)) The ultimate BMW - racing machine. ·         One of two lightweight cars built. The very last BMW 320 Turbo Group 5 car built. This car has a two-liter turbocharged engine. One of two lightweight cars built. It features revised suspension geometry, larger wheels and relocated fuel tanks and radiators, as well as many detail changes compared to the earlier cars. It was given two unsuccessful outings in Europe during the 1978 season before it was shipped to North America and entrusted to Jim Busby Racing. Here it benefited from several subtle modifications. The engine moved further back as was the driver, and the car was fitted with a rear window to improve aerodynamics. 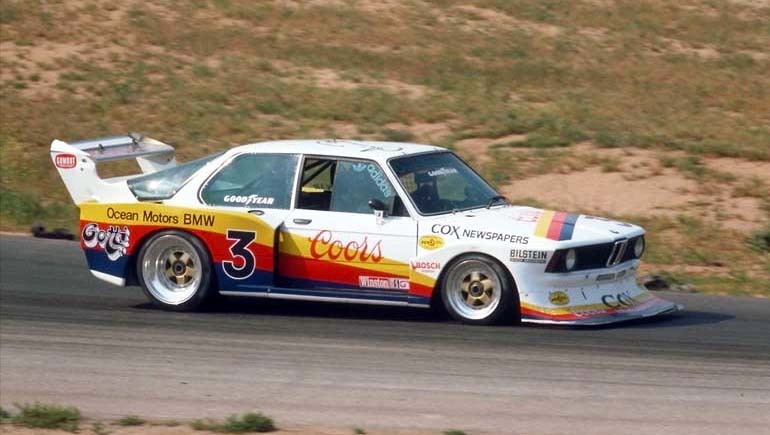 Busby raced the Coors liveried car himself during the 1979 season with some success. In 1982 the car raced in Australia in 1982. Driven by local hero Jim Richards, it scored a couple of victories with the car liveried in JPS colours. Now owned by an American enthusiast, it was carefully restored to its 1978 specification by Jim Busby Racing. At the 2016 Rolex Monterey Motorsports Reunion, where BMW was the featured marque, it was raced once more by Busby for the current owner.